A relatively recent addition to the group of gestational trophoblastic disease. It usually occurs in the reproductive age range and presents with vaginal bleeding. Serum hCG levels are elevated. 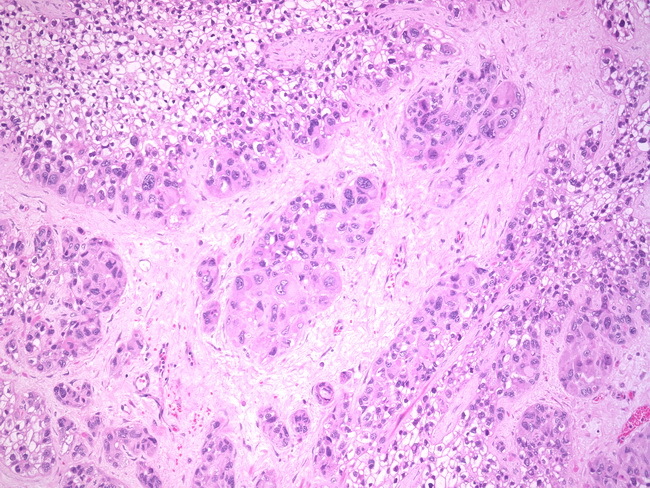 The tumor is composed of intermediate trophoblastic cells arranged in nests and sheets embedded with a hyaline matrix.